From local unions paying per capita on 100 members or less – two (2) delegates and one (1) additional delegate for each additional 100 members or portion thereof. From District Councils or Provincial Councils of Unions, or Provincial Occupational Groups, the basis of representation shall be one (1) delegate per Provincial Council or group. Representation from District Councils or Provincial Councils of Unions or Provincial Occupational Groups must hold membership in an affiliated CUPE local union that is paying per capita tax to CUPE New Brunswick. Credential forms have been enclosed based on your last payment to CUPE NB. Send the white copy to the address shown. The yellow copy is to be retained by the delegate and presented at registration. Alternate delegates may be named and may attend but without voice or vote unless replacing an absent delegate. You can register your delegates by mail or via the following form. Register prior to March 8, 2019 to help us in our planning and to allow sufficient materials to be prepared and sent to delegates in advance. The registration fee is $100.00 for each delegate or alternate delegate attending. If registering by mail, enclose your cheque with the delegate registration forms. If registering by internet, please mail payment to Secretary Treasurer Minerva Porelle as registration fees must be paid at the time of registration. Please make cheques payable to “CUPE New Brunswick”. Observer’s registration – information and form enclosed. All resolutions to be considered at the convention must be submitted prior to January 10th, 2019 according to Constitution and By-Laws, Article 4.7. All resolutions must be signed by the presiding officer and secretary of the affiliate. Emergency resolutions dealing with matters that have arisen less than ninety (90) days prior to the opening of the convention may be considered only with the consent of a two-thirds majority vote of the Convention. A block of rooms has been reserved until March 10th at the Fredericton Inn starting at a rate of $104.00. Please indicate that you are with CUPE NB AGM 2019 Membership when making reservations. 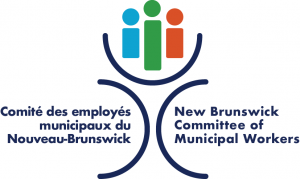 Local Unions having less than twenty-five (25) members may make application to the CUPE New Brunswick Executive Committee for financial assistance with transportation to assist in sending a delegate to convention. The CUPE New Brunswick Executive is empowered to authorize payment. CUPE New Brunswick requirement: To be entitled to representation at the Convention, a local union shall have its per capita to CUPE NB paid up to and including the month of December 2018. CUPE National requirement: Article 6.7 of the CUPE National Constitution stipulates that any organization in arrears for two or more months to CUPE National will not be allowed representa­tion to conventions at any level of the Canadian Union of Public Employees. This means locals must be paid to CUPE National up to and including the month of January 2019.